What did you like about the book? 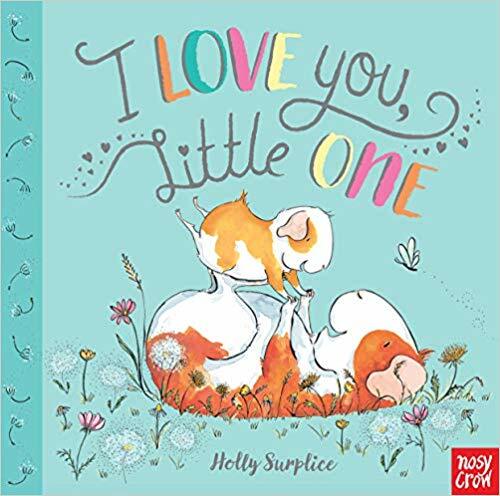 This is a gentle board book about a mother’s love for her child. In this book, using illustrations of guinea pigs, the mother shows her love in different ways. As examples, cooking, art, and comforting boo boos. With rhyming texts, soft colors, and gentle ink drawings this is a sweet quiet story to read to little ones. To whom would you recommend this book? Preschoolers, parents, story hour (this would be nice for a P.J. Story Hour. Who should buy this book? Public libraries, preschools, and day-cares. This entry was posted in Board book, Book Review and tagged Nosy Crow. Bookmark the permalink.